While many love to moan about the LinkedIn platform, especially since it went through a major facelift just months ago, the platform should be a part of any business’s lead generation strategy. According to recent figures published by LinkedIn, it now has over 500 million users worldwide and with a reported 20 million UK users in January 2016 it may be boasting as many as 25 million UK users today based on the growth of its worldwide user population across the same period. 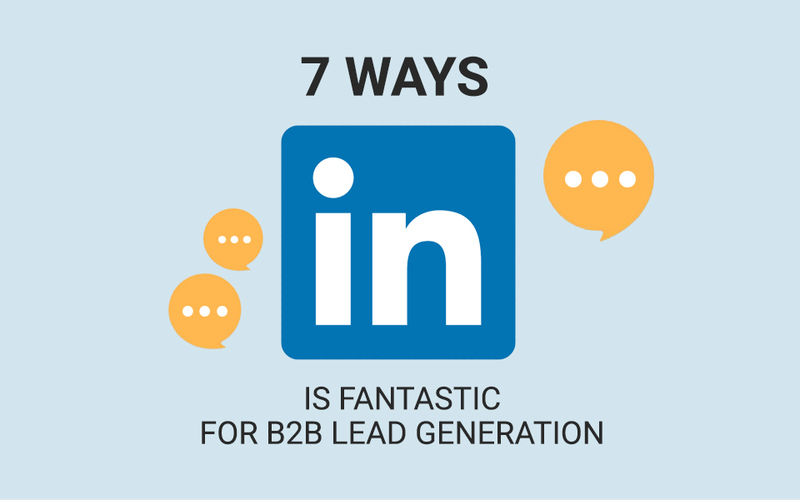 This article looks at the many uses of LinkedIn with a particular focus on lead generation. People buy from people. Trust is essential. If they are going to buy from us, trust and credibility has to be in-built into the AIDCA process. Without trust, at best we are leading our prospects to buy our product or service; but from somebody else. How we present ourselves on LinkedIn can make a massive difference to how both ourselves personally, and our company’s brand by association, are perceived. Simply by creating an up-to-date identity on LinkedIn we are already ensuring that we are a part of the show. Potential customers, suppliers (yes, they need to be valued too) and collaborators can see what we are about and can find us. Having a vague, out of date or blatantly incomplete LinkedIn profile will make people less likely to trust us or engage with us. The more rich, informative and up-to-date our profile is, the more likely people are to engage with or buy from us. Despite the amount of junk that is circulated on LinkedIn – the “sell me this pen” type posts and leadership memes etc – it is still the place where many of our potential customers are mixing online. Putting “content shock” aside, content marketing is still an excellent way of generating leads for your business and if you are B2B then LinkedIn is going to be a seriously important part of that process. Whether you are promoting blog, infographics, whitepapers or any other kind of content, LinkedIn offers an excellent platform for reaching out and engaging. High quality content will do well organically on LinkedIn and targeting through paid posts is even more effective. Even with a free account it is easy to see who is interacting with content. If you have a LinkedIn account it will be found on Google. Given that people buy from people, as a way of strengthening your own presence and personal brand, having a well maintained LinkedIn profile makes it easy to find you either within LinkedIn or from Google. Furthermore, content that is shared via LinkedIn’s Pulse platform – usually blog articles – can also be found by Google. Creating the right impression on LinkedIn, not only through content marketing but in how you engage with others, the posts you put out there, the responses to others etc. can position you as being important in your industry. Who you connect with is also important. It is better to have fewer high quality contacts who are going to be genuinely interested in what you do (and vice versa) than connecting to every person and their dog just to build the numbers up. In terms of lead generation, having the right connections, creating the right impression and posting the right content will improve engagement levels when you post something specifically to promote an offer or attract people to your website. How many times have you met somebody at a networking event or other business event, really hit it off with them and then exchanged business cards? Many times, I am sure. But then unless something happens, it is very easy for such a relationship to go cold, isn’t it? Some people put their contacts details into mailing lists and bombard them with email newsletters. There’s nothing wrong with newsletters if done correctly but that’s not a two way engagement unless the recipient responds to a call to action. Following up with a connection on LinkedIn is the perfect way of continuing the relationship. You can still call them, meet them, email them etc. but now you can get a feel for who they are and how they operate. Importantly, they get to understand you as well. LinkedIn provides the platform to build mutual trust and respect. One of the things I love about LinkedIn is the fact that, when done properly and appropriately, you can message people directly and create opportunities for business. It can start from something as simple as an update by you or the prospect. They respond to your post or you respond to theirs. These brief exchanges offer a chance to drop in a casual suggestion that you will inbox them or that you will connect with them if you are not already connected. Anything can happen from there – a phone call, a meeting or even a booking straight from message exchanges. Like anything, you get what you put in. If you have a presence on LinkedIn but don’t engage with anybody, don’t post anything or if you post everything from what you had for breakfast to your views on politics or Big Brother, it is unlikely that you will generate many opportunities from the platform. Some may disagree with my latter points arguing that while the LinkedIn police (other users) may throw stones about your content not being appropriate for a business platform, you are being approachable and authentic and will score high on trust. Better to play it safe? Your choice. Either way, if you treat LinkedIn as an online version of a business networking event – i.e. treating people with the respect and courtesy that you would in a face to face introduction – the platform is a useful way to build contacts, manage them, strengthen your connection with them and, in the long run (or even the short term) win business. When it comes to paid for campaigns across the platform and content marketing or social media marketing, it is worth hiring professionals to make sure you get the most traction for your marketing spend. You can always ask My Social Agency to help. We are experts at maximising return on digital marketing spend.